Having tried the very strange Ranch Raccoon flavour crisps from Walkers new range yesterday, I though I'd go for something that sounded a bit more palatable today. 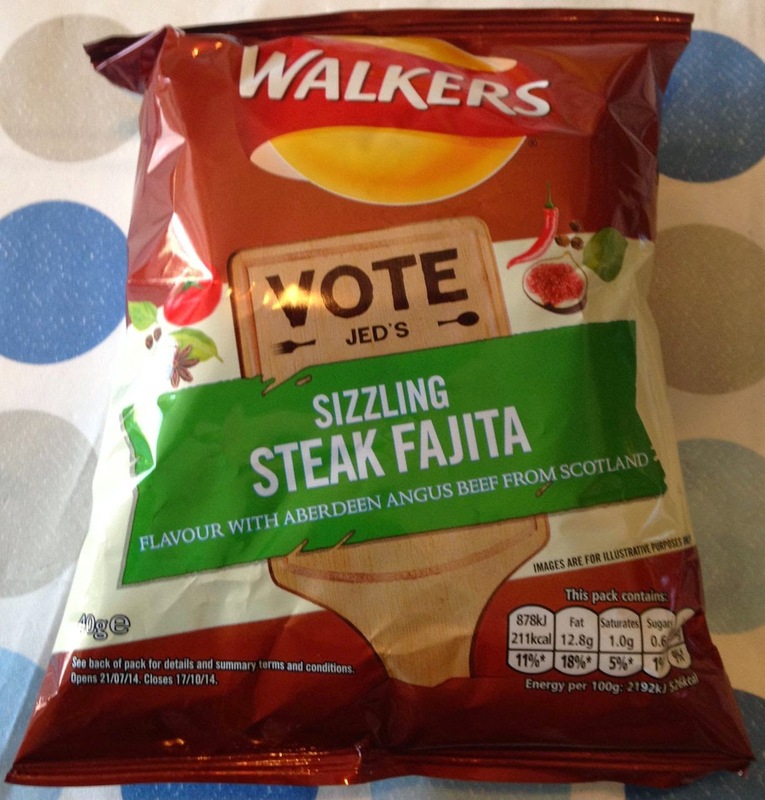 These new Sizzling Steak Fajita crisps sounded like a better shot, and a genuinely interesting new flavour. Different, but something that might just translate well to the crisp word. I preferred these by far to the Raccoon crisps, but I think that is par for the course. These tasty spicy and fresh tasting Sizzling Steak Fajita Crisps could well end up being my favourite. Sure I have another four flavours to taste test, but these have just set the standard very high. Are these in shops yet? I really enjoyed the last ones & i want these! Saw these in a 6 pack in Sainsburys today and bought some. I've just now had a packet and didn't like the taste much, makes me feel like vomiting lol. I bought a 6 pack of Chip Shop Chicken Curry, Pulled Pork in sticky bbq sauce, and these Sizzling Steak Fajita. I wasn't expecting much based on the previous Walkers user flavours which really weren't that nice. BUT I gotta admit all 3 of these were pretty damn tasty. I liked them all. I do think this current run of Do Us A Flavour's have been really nice.